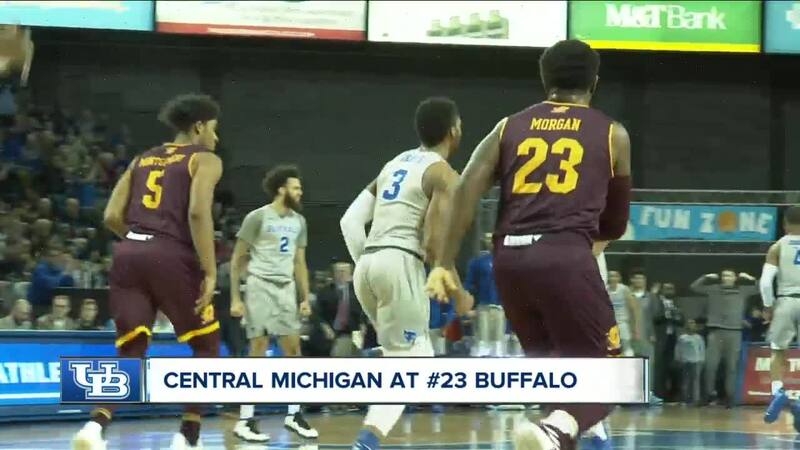 AMHERST, N.Y. (WKBW) — Make it 22 straight wins at home for the UB men's basketball team as they topped Central Michigan 90-76 on Saturday afternoon. The Bulls are now 20-3 overall and 8-2 in the MAC. It's also just the eighth time in school history they've hit the 20-win mark. Jeremy Harris led the Bulls with 19 points and eight rebounds. CJ Massinburg added 18 points while Dontay Caruthers chipped in with 16 points and four steals. Defense was a big key in the win as the Bulls forced 23 turnovers and turned them into 30 points. The 23rd ranked Bulls are back in action on Tuesday when they travel to Akron.